After nearly two years as the only game in town, Oculus finally has some competition. 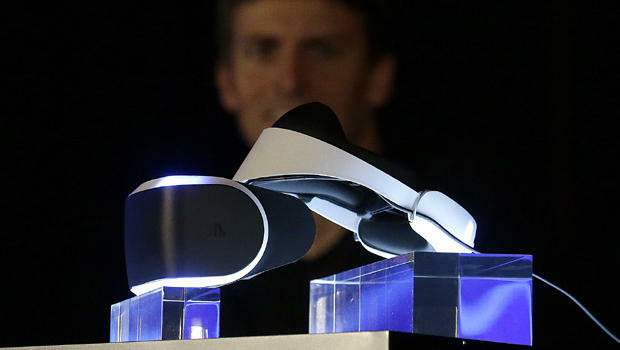 Sony is making a play into the virtual reality (VR) future with the debut of Project Morpheus earlier this week. The headset itself looks fairly sharp, but its the experience of the user inside the goggles that matters. How does Project Morpheus fare? Pretty damn well. The headset itself is comfortable, though it does take some finagling to get the straps and headbands to fit properly. Wear the set too loose, and the goggles will press down on your nose and cheeks–it doesn’t hurt, but it would make longer play sessions fairly uncomfortable–while wearing the headset too tightly crushes your glasses into your face. Finding the sweet spot is tricky, but once you’ve got it set the weight of the goggles falls across the top of your head and is fairly comfortable. Once you get the goggles adjusted properly, the screen looks great. Textures are sharp, and the 1080p resolution means you never have to deal with the blockiness or fuzziness you got with the original Oculus Rift. The field of view isn’t quite as wide as one might like–you can still clearly see the outlines of the screen in your periphery-but the image is bright and very sharp…until you turn your head. I noticed a lot of blurring while moving my head from side to side. Hopefully Sony can iron that out over the before Project Morpheus goes to retail. Gaming Trend got to try two of the four different demos Sony used to showcase their new tech. The first demo, “The Deep,” traps the player in a small diving cage descending to the the ocean floor. Because Project Morpheus tracks head motion, I was actually able to move around the inside of the cage–even to peer out over the edge and look down into the abyss. The motion tracking felt spot on, though it was a bit odd to take a few steps forward, then turn around to see my headless “body” rooted to the center of the diving cage. The whole experience can really mess with your mind, too–several times I found myself reaching out to place my hand on the non-existent bars of my virtual cage. Gaming Trend also got a chance to play with EVE: Valkyrie. Debuted last year for the Oculus Rift, CCP’s dogfighting sim is bringing Project Morpheus to deep space. CCP has been pretty tight-lipped about Valkyrie, but I had a complete blast during the 8 minutes or so I played it. The Dualshock 4 isn’t the most authentic device for a space-combat sim–I’d have preferred a joystick/throttle–but the familiar layout is definitely helpful when you can’t see your hands. After playing both Valkyrie and Elite: Dangerous, I’m convinced that sims will make a big revival once VR headsets reach the market. Sony is taking a big gamble with this foray into the wild west of virtual reality, but they’ve clearly put quite a bit of effort into getting the hardware right. There’s a bit more work to be done to eliminate motion blur, but I came away from the demos impressed with the hardware and with the state of VR tech as a whole. VR is for real, people–the future is happening.